The Playground, in Santa Ana. On the way to San Diego, round two. Tapas-style feast. 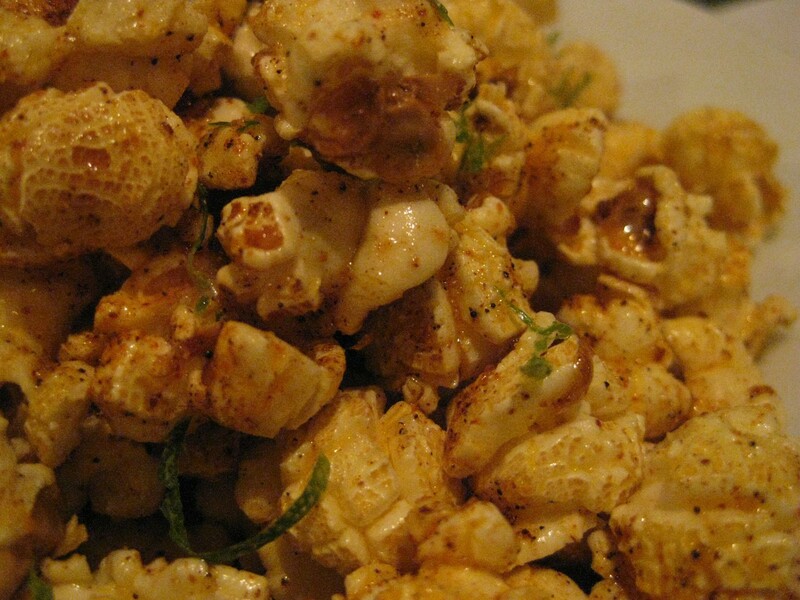 Chili-lime kettle corn. Lemongrass-coconut corn. The Playground burger. Fatty-duck fried rice. 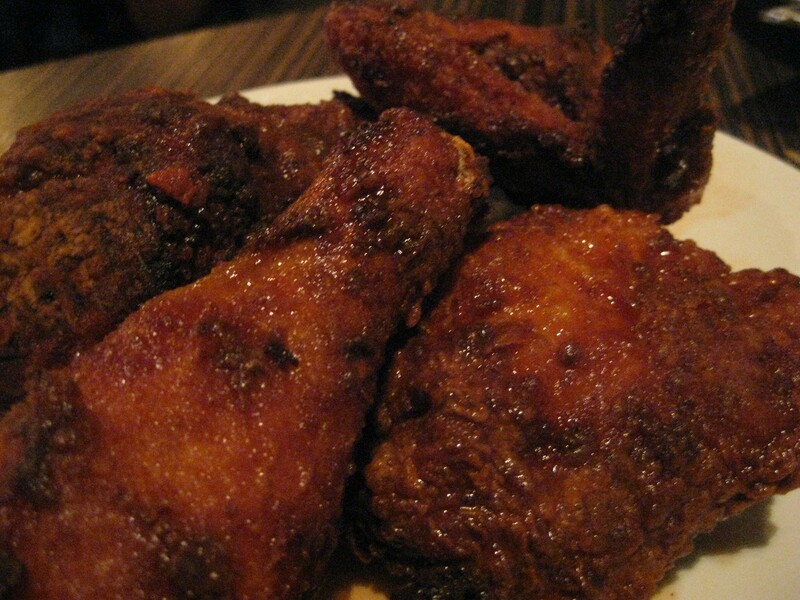 Uncle Lou’s Fried Chicken. 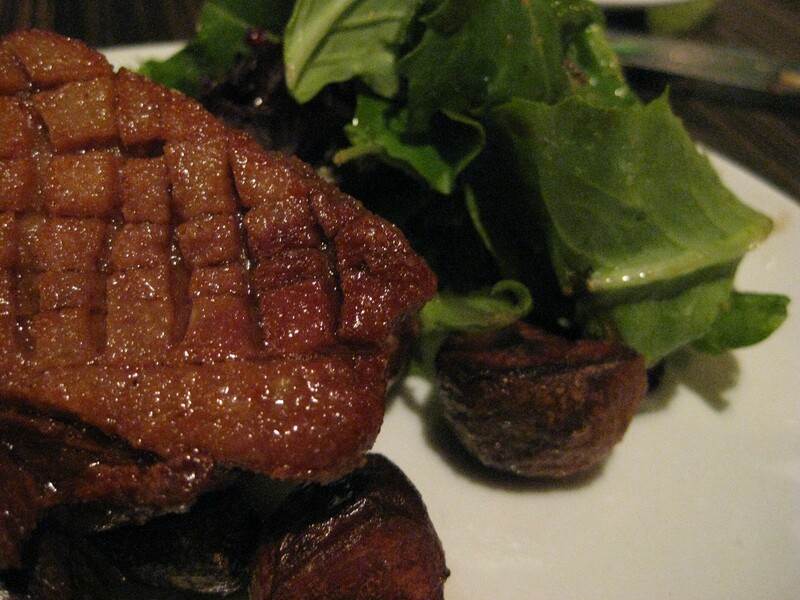 Duck breast with a salad of arugula and figs. More Los Angeles gastropub finger food. The chili-lime kettle corn was spicy and acidic, which reminded me of my childhood binges on lime flavored Doritos chips. There was a slight sweetness on the kettle corn as well, which provided a physically sticky texture that adhered plenty of seasoning. 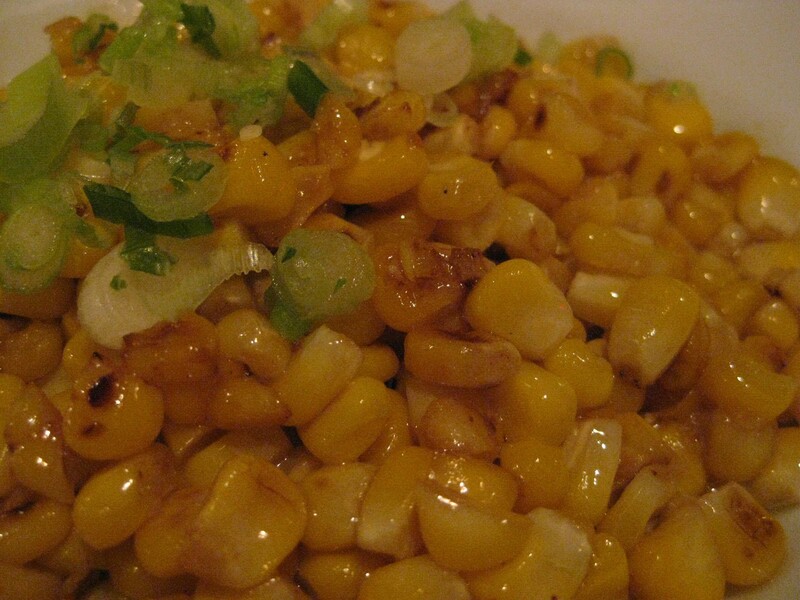 Dish of the night for me was the lemongrass-coconut corn; each bite was savory, sweet, and herby, which reminded me of the simple corn dish that my mother used to make (olive oil, scallions, corn (canned or off the cobb), salt n’ pepper). My friend, a burger aficionado, got the Playground burger; the flavors were pretty standard. The fatty-duck fried rice was nothing too crazy. It was a solid dish, although I have to say, it’s somewhat difficult to go wrong with fatty meat and fried, caramelized rice. Uncle Lou’s fried chicken had a juiciness that was hard to resist, as well there was a hint of what I believed to be Chinese-five spice in the meat, and a slight peppery kick in the batter. With that delicious memory fresh in my head, I wondered if there were specific chemical difference when biting corn fresh off the cobb, versus processed corn (corn off the cobb in the form of a can or in a frozen bag). This idea popped into my head when reading some blog posts and articles on ancestral eating; the topic was related to the matters of plant material in our diets. The article briefly outlined that plants, although edible, may not have been an attractive source of sustenance in the human diet, as plants themselves have defenses (poisons, liquids, indigestible fibers) that serve as a method of ingestion prevention. Plants essentially were “starvation food,” utilized only when the most nutrient dense foods had been exhausted (wild game, fruits). Corn, like the pea, has a fair amount of sugar and starch, and is considered a grain; I was curious as to what chemical changes took place when separating corn from the cobb (by gnawing, or by knife, and if any subsequent release of chemicals would change the flavor of the food. I dug up this study, which suggested that insect-related damage to one area of a corn seedling plant would induce a release of chemical signals across an entire plant, rendering it more susceptible to parasite attack. The concept, if applied to a culinary context, may be applicable for the picking and choosing of raw foods (proper harvesting time for greens), but the concept of volatile defense mechanisms may affect the final taste of food. As far as I know, gnawing on a cooked cobb of corn does not activate plant defenses that would make the latter part of a cobb less enjoyable. However, if one were to “injure” a piece of fruit or vegetable by cutting it on its branch, and utilizing different parts at different times, would there be a change in taste? Certainly, I would say. (Perhaps a rotten taste…). However, in a controlled environment, could this be used to create an interesting twist on the seasonality of fruits and vegetables? Perhaps, why not? Steaks can be aged…what about controlled flavor development in plants, via nascent chemical defense mechanisms? 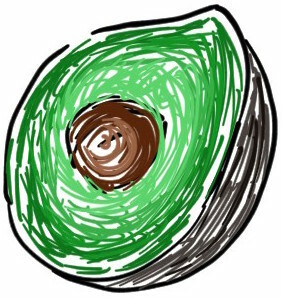 One could create sweeter fruits, darker colors, or bitter undertones. Something to think about, and seldom-touched upon. Apologies for my poor-quality photos in this post. Lighting was crappy, I was hungry, and my camera was on strike.